False doctrine has the power to undermine faith and damage believers if we are not discerning and, consequently, allow man-centered, Christianized self-help theory to permeate our churches and thus redirect the eyes of believers off of Christ, and onto self. That which common man may consider good psychology may in fact be nothing more than bad theology. We must discern. Bad theology is like poison that invades the bloodstream and destroys spiritual health. False doctrine kills the church from the inside out, whether it is preached openly from the pulpit or shared subtly in the “counseling room.” The apostles warned of these “destructive heresies” (2 Peter 2:1–3) that hold undiscerning believers “captive through philosophy and empty deception” (Col. 2:8). Therefore, church leaders must instruct men “not to teach strange doctrines” (1 Tim. 1:3) because “their talk will spread like gangrene” (2 Tim. 2:15–18). Gangrene is a deadly disease. As it spreads throughout the skin tissue, it leaves portions of the body dead and in need of amputation. The disease starts when there is a lack of blood flow, and the resulting shortage of oxygen to the body parts causes tissue to die. Once dead, the tissue becomes numb and turns black, leaving only one effective treatment—removal of all dead tissue and the exposure of infected areas to oxygen under high pressure, thus killing the bacteria that can only live in oxygen-free tissue. Consider this analogy of theology in the body of Christ, the church. Sound biblical doctrine, like oxygen, is needed to sustain spiritual life. When there is a lack of sound doctrine, the poison of false theories begins to spread underneath the surface of the skin until the infected area of the body dies. Once dead, it becomes numb to any danger. To remove false doctrine from the church requires amputation, followed by intense doses of pure doctrine to force the error out. Os Guinness reminds us that “sound doctrine” in Greek “is literally ‘hygienic’ and health-giving.” It cleanses the mind and feeds the growth of the spirit. Therefore, we must make the imparting of doctrine a significant part of our ministry. When believers are grounded in the Word of God and taught to think of everything in their lives from a God-centered, biblical perspective, their minds will be renewed and their faith nurtured (Rom. 12:1–2; 1 Tim. 4:6). Gary Johnson’s comments are fitting: “A healthy Christianity cannot survive without theology, and theology must matter today, especially in our mindless and irrational culture. It should especially matter among evangelicals who confess saving attachment to Jesus Christ. 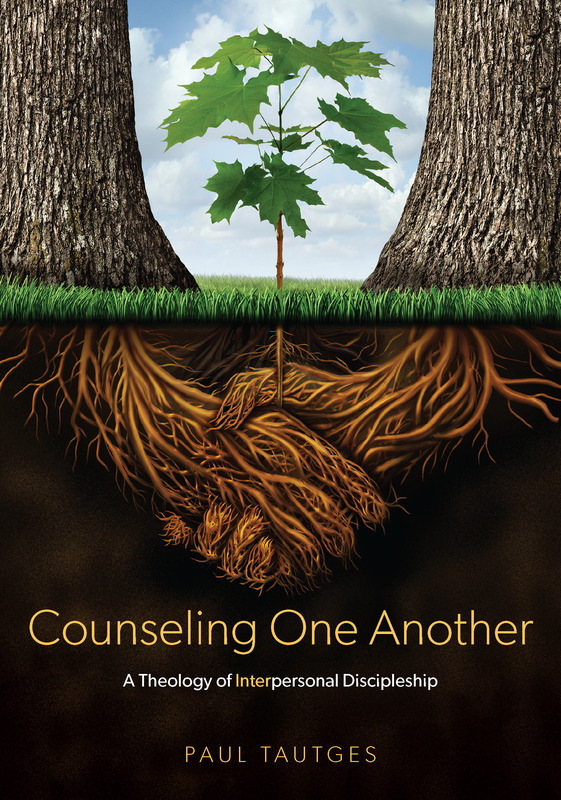 But current challenges to the authority of the biblical gospel often come from within our churches, from practitioners who are increasingly uninterested in serious theology.” Therefore, if we are committed to biblical ministry, we must take theology seriously, since the ongoing spiritual health and growth of our disciples depends upon it. The Apostle Paul’s model for counseling, as explained in Colossians 1:28-29, includes the high priority of teaching doctrine so that disciples learn to think theologically. This, of course, is an echo of the indoctrinating aspect of Jesus’s command to make disciples by “teaching them to observe all [He] commanded” (Matt 28:20). “Teaching” comes from didasko, meaning “to give instruction.” The noun form simply means “doctrine.” Acts 2:42 indicates that doctrine was a high priority in the early church. These believers were “continually devoting themselves to … teaching,” that is, doctrine. They were being instructed in God’s Word to the extent that their lives began to model truth to a dying world (beautifully illustrated in the church at Thessalonica, 1 Thess. 1:6-7). I have watched with growing disbelief as the evangelical Church has cheerfully plunged into astounding theological illiteracy. Many taking the plunge seem to imagine that they are simply following a path to success, but the effects of this great change in the evangelical soul are evident in every incoming class in the seminaries, in most publications, in the great majority of churches, and in most of their pastors. It is a change so large and so encompassing that those who dissent from what is happening are easily dismissed as individuals who cannot get along, who want to scruple over what is inconsequential, who are not loyal, and who are, in any case, quite irrelevant. In these three decades [1959–1989], the laity had apparently moved from a doctrinally framed faith, the central concern of which was truth, to a therapeutically constructed faith, the central concern of which was psychological survival. Christian truth went from being an end in itself to being merely the means to personal healing. Thus was biblical truth eclipsed by the self and holiness by wholeness. As people’s perceived psychological needs become more important than believing right doctrine, and feeling good about oneself becomes a higher priority than knowing one’s soul is right with God, the systematic teaching of biblical doctrine becomes more important than ever. In fact, it is indispensable to the disciple-making process because of the power of doctrine to protect, build up, nourish believers, and stimulate spiritual growth (1 Tim. 4:6; 1 Peter 2:2).